Tata Motors have the distinction of rolling out the very first new car for the year 2011. 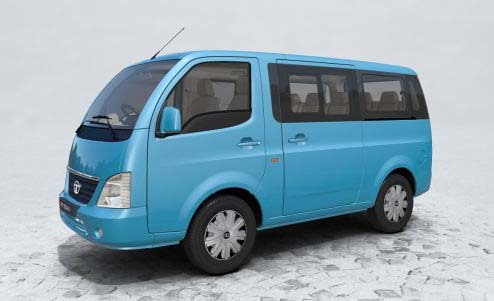 It is a people mover like the most of the cars in the Indian giant’s portfolio. Now, I really am not that interested in MUVs or UVs however like the ad for the Tata Aria proclaims, the Tata Venture in India seems like from a new breed. Now, albeit reluctantly abiding with our motto wherein we test each and every car in the Indian automobile scene, I had to take the onus of testing the new Tata Venture in India. Assisted by a little help from my boss, I got the Tata Venture delivered at our office and the test drive process began. Why test drive? Tata Motors said that since the car wasn’t launched throughout India, they may alter the configuration for some regions based on demand. All I had was only 1 hour to go through the car. It is a UV after all and there shouldn’t be much going by the pictures. These were my thoughts before I saw the car in flesh. How wrong could I be? Well, this certainly is one of a looker but then many would miss it unless they really knew what the Tata Venture was. We should have known Tata Motors intention of launching this car since it was displayed at the Auto Expo 2010. There are some design elements like the use of good paint colors, matte finish of the glass, frame less front grille, the body colored wing mirrors, single wiper blade at the front and none at the rear explain the look of this car. The Christmas tree like tail lamps add to the flair and pronounce it as a MUV from all the sides. Its rectangular shape wouldn’t win it too many fans but then, it was designed only for the purpose of transport. Each and every car from Tata Motors gives precedence to function rather than form. This has been amply demonstrated in the form of even the small car, the Tata Nano. The car that was delivered to me was an 8 seater one, the highest variant(we always have our say in this aspect). The front doors open wide enough and with a slight bend, I was inside the cabin. The overall dimensions of the car suggest that it is just under the 4 meters mark and hence would qualify for excise benefits. The front seats or rather the driver’s seat isn’t designed for a 6 footer however they still do are okay, infact better than the ones in the Omni and Eeco. The instrument cluster has been kept simple and even the base version, I am told, gets a rev counter. The seating configuration means that this car has 3 rows of seating. The rear is spacious and even the 3rd row has better space utilization than the others in its niche class. Speaking of utility, this car has 4 speaker music system, dual tone beige barley interiors and even rear parking sensors(wow). Storage space is also amply given and even with a full complement of passengers, there is enough space for 2 big suitcases. Well, on such a short drive, I would only be able to catch glimpses of the car’s ride and handling characteristics. Nevertheless, the car did display good ride quality. It’s softly damped and has typical 4 wheels at the 4 corners look. At city speeds, I was reminded of the Tata Indigo XL which calmly goes about its work. Mention must be made of the engine noise which is almost absent at speeds of upto 80 kmph. Regarding the handling, nobody is going to carve corners out of UVs and least of all a tall structure like the Tata Venture in India. However I did feel that this UV rolls a bit more than what the Maruti Eeco would have and it doesn’t feel as car like to drive like the Eeco. Well, maybe I am wrong but only a full road test can prove this. 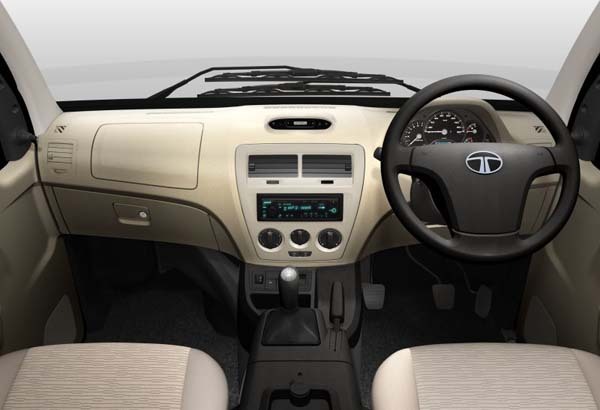 The steering wheel is one of the modern units from the Tata stables. It provided ample feedback on the road. The Tata Venture in India is offered only in one engine form and it is the tried and tested diesel unit from the old Tata Indica. This engine comes in both BS3 and BS4 iterations and thus has a wider appeal for those looking to save money. The 1405 cc engine is also available in two different states of tune according to the emission compliance. The BS4 variant has 71 Bhp of peak power whereas the BS3 variant brings in 50 Bhp and is only available in the base 5 seater configuration guise. I off course had the BS4 version. The engine though not very powerful has enough grunt to potter around town, where it would be confined for most of its life. It is a tried and tested unit so there shouldn’t be any problem with its reliability factor. The gear shift quality as expected was rubbery but then better than the earlier gen Tata Indica. The performance is something which cannot be estimated with a test drive however expect the car to cross the 0-100 kmph barrier in about 18.3 seconds. The BS3 variant could take 2 seconds longer for this run. Safety features abound in this UV with Tata Motors offering engine immobilizer, collapsible steering column, side impact protection Beam and shield lock and also Front Crash Reinforcement. Now, fuel efficiency as certified by ARAI ranks at 15.6 kmpl. Well, I would rather reserve my comments about the Tata Venture in India for the moment until I do a full road test of it. However to sum up things, I would say that this is a welcome change in the small UV segment. Having a diesel engine under the hood means lower running costs and Tata’s widespread dealer network would also mean hassle free ownership experience. The Tata Venture is been sold in three variants, namely the base Tata Venture CX, Tata Venture EX and the Tata Venture GX. The Tata Venture price in India(base variant) is Rs Rs 4,05,000 and this figure goes upto Rs 5,07,000 for the top of the line variant (ex-show room, Jaipur). At first when I looked at the photograph I thought what a school bus is doing over here. Sisnce I have never driven a MUV I want ask you how u felt driving such a bulk head vehicle. I mean the control the handling everything was same or it was pretty different than normal vehicle with four limbs. Also its better than any of these models…Maruthi Omini, Tata Ventura, Toyota Inova (high price). 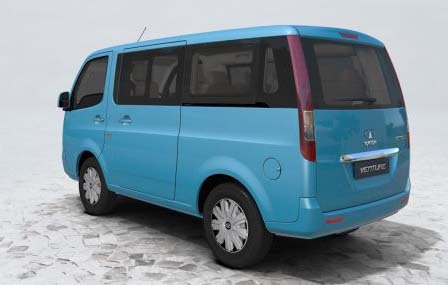 so, the perfect van for family is Suzuki APV. The Suzuki APV is likely to come to India soon and that too with a diesel engine. There has been news doing the rounds on the web about this plus spy pics as well. You can either go for the Xylo or Innova depending on your budget. I have never seen this type of car (under body engine) with AC….hats off to TATA.